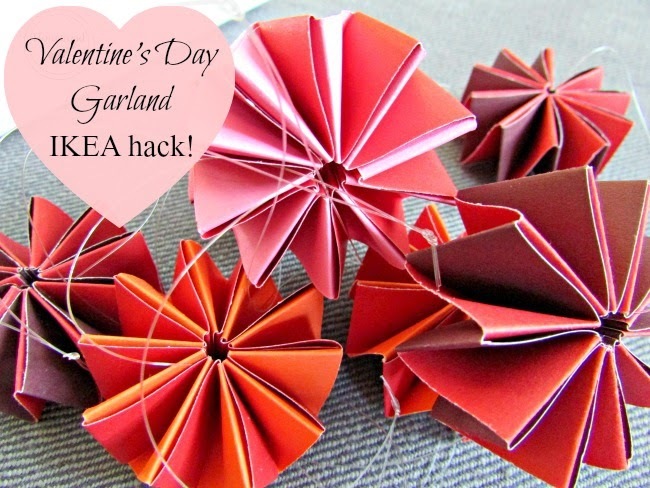 becomes Valentine's Day garland for holiday decorating! 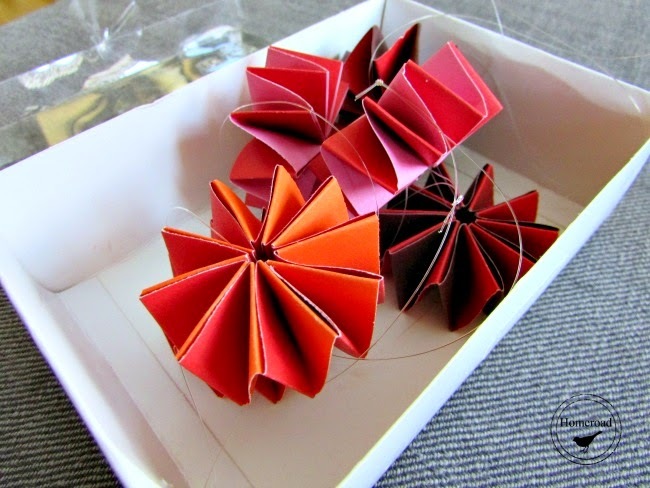 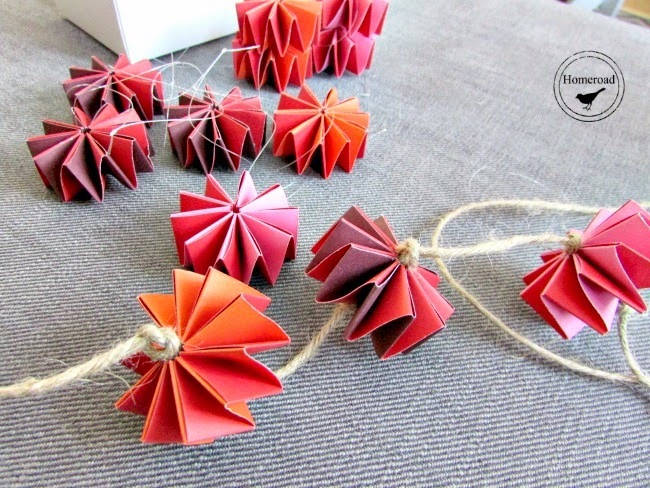 I cut off the fishing line from each origami ornament then threaded the pieces onto a length of jute. 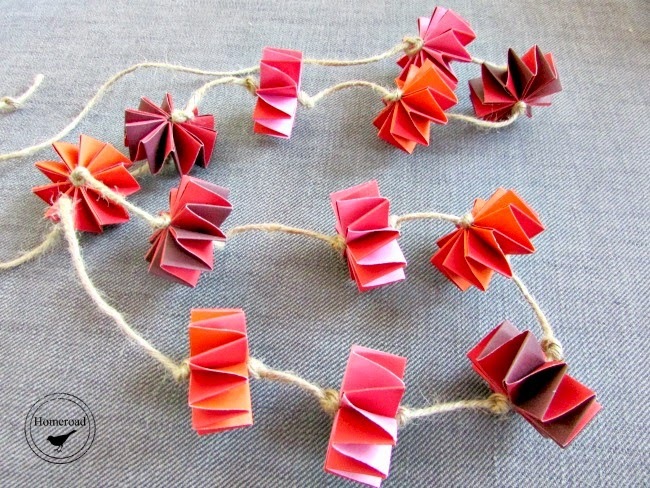 I tied knots on both sides of each ornament. 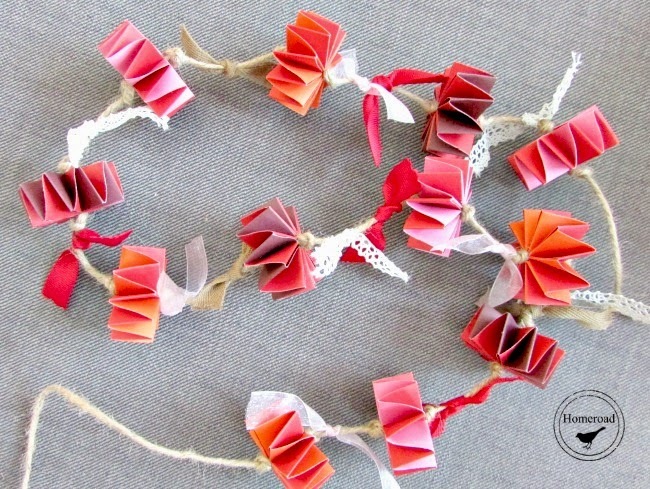 When the garland was finished, I added small pieces of ribbon between each paper ornament. 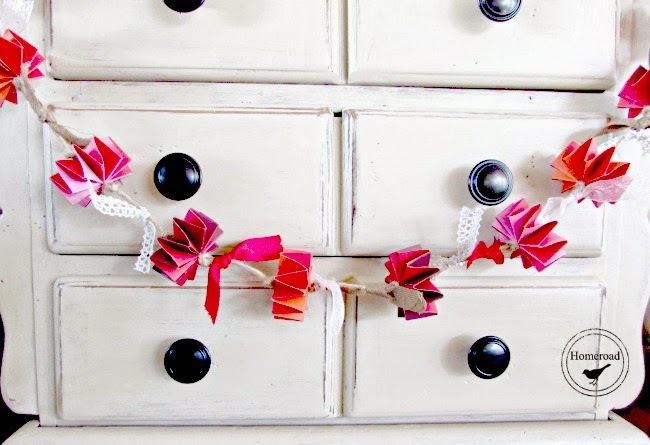 It made a beautiful Valentine's Day garland to decorate my newly chalk painted hutch! 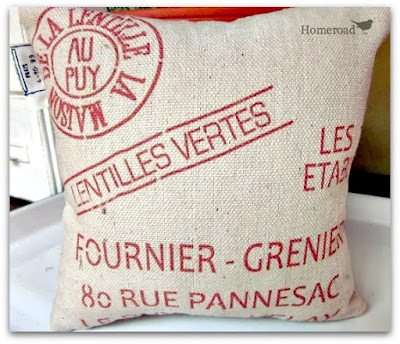 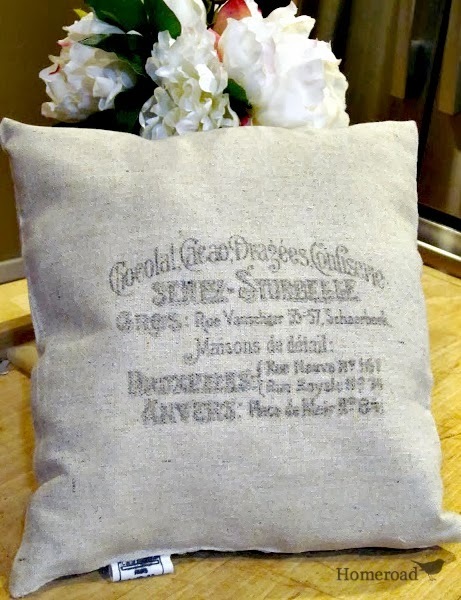 the latest DIY posts sent straight to you!